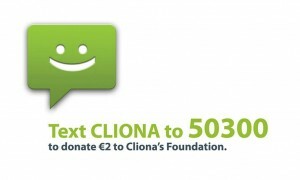 It is nearly a week since Cliona’s Foundation was featured on the RTE Today show with Maura and Daithí. and we have received so many lovely messages and a few donations from people all over the country who were very touched by the piece. 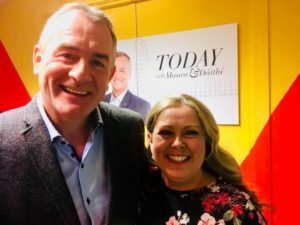 In a very honest and moving manner one of our family members Susan Daly shared the story of her daughter Olivia’s sudden illness, having to travel to the UK for treatment and how Cliona’s Foundation helped them through a very dark period. Brendan & Terry were delighted to be able to meet up with Susan her husband Colin and Olivia and Christian after the show and see how well Olivia is now doing. We have been able to support 88 families this year to date but still have another 25 on our waiting list.